Ever searched fora really simple and effective way to promote and advertise your stuff on twitter? If you have your own website or web shop, you can make a custom tweet button. Now, whoever clicks on the link will have the message automatically added to their Twitter status box, they simply click to tweet! You can search for a twitter button on Google and place that button in your web article or blog post. 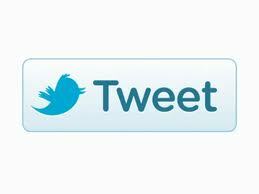 To this button you can add your custom made twitter link that you generated in click to tweet. People who will click on that button will send out a tweet with the text you chose.